Throwback Thursday highlights a post from years past that we think you might enjoy! This post originally made its debut on Grace Elizabeth’s on May 14, 2012. Some of my favorite summertime memories revolve around the campfire. From singing songs at camp to toasting s’mores in the backyard, a campfire always brings people together. 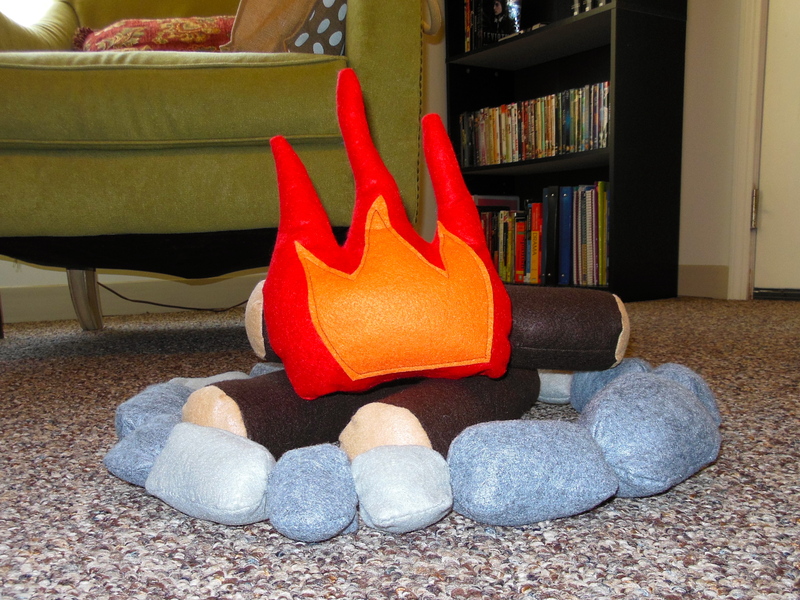 I created a campfire from felt to use indoors. It’s a perfect solution to a rained out camping trip. You can view the original post here. Time for the songs, stories, and s’mores! This teacher is ready to dive into summer! So many things I want/need to do it’s going to go so fast! As the maker of lists, I just couldn’t help myself but make a summer bucket list. I did this last year too. It helps to keep me on track and fun to look back on once school starts back up again! Jake and I sat down and came up with our 2014 summer bucket list…drumroll please! I was so busy during week seven that there were hardly any pictures taken. Week 8 was a little more relaxed and I was able to capture some candid moments. I downloaded some new fonts this week and was having fun trying them out on the layout. I love the simplicity of the layouts – sweet and simple. Any tips for remembering to take pictures? I seem to be having a terrible time! 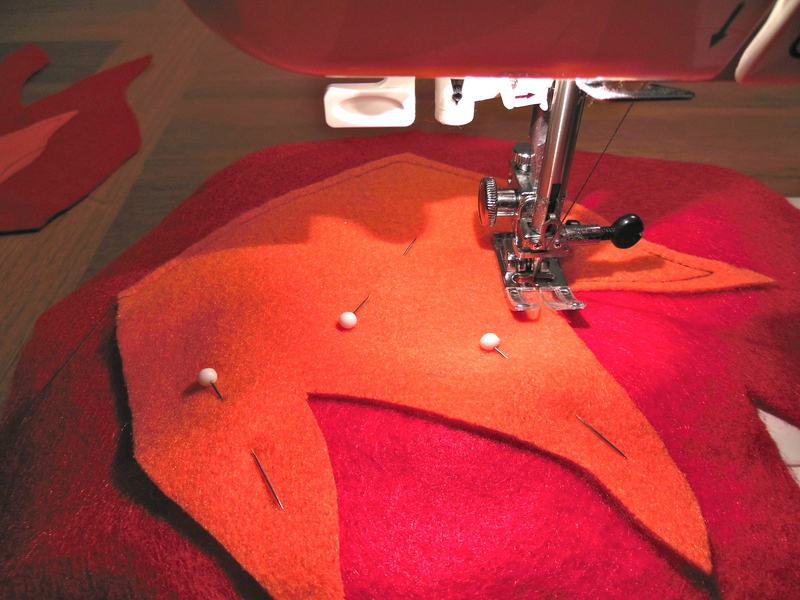 What new trick have you most recently incorporated into your crafty endeavors? Looking for a quick project for the weekend? Maybe you need a wedding gift like I did. With a few weddings approaching quickly I headed to the store in search of a thick yarn. Lion Brand’s Homespun Thick & Quick was may choice, super bulky (6) weight and oh so soft. I did had a dilemma however as I stood in the store staring at the pile of yarn skeins . I didn’t know how much to buy. So knowing I hate running short I bought eight skeins. Yes, I bought too much because it only took three skeins to complete the blanket. And the best news, it only took about 6 hours to knit. My inspiration for this project was Lion Brand’s pattern “6 Hour Afghan.” Instead of using 4 strands lighter weight Homespun yarn I used the super bulky weight and saved a boat load of money. Love it! Their pattern was also knitted in stockinette but I really like the way the garter stitch I used gives texture. Click here for your FREE copy of my Easy Knit Blanket Pattern. What do you do for a quick and easy gift for wedding, graduation or birthday? Happy May Day! We have a new free May Calendar available for download!